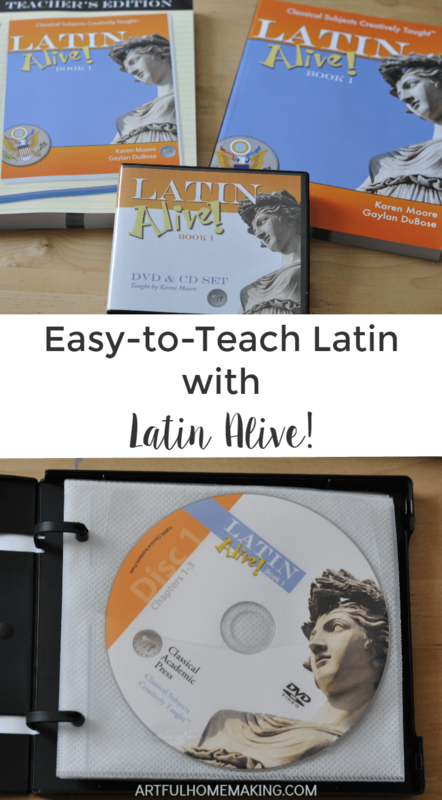 I decided (a little late in the game) that I wanted my children to study Latin. So, I looked around for a program that was easy to teach and fun to learn. My search led me to Latin Alive! from Classical Academic Press. The wonderful thing about Latin Alive! is that it is written directly to the student. Since my students are in high school, they’re perfectly capable of independent learning, and this makes it super simple for me! 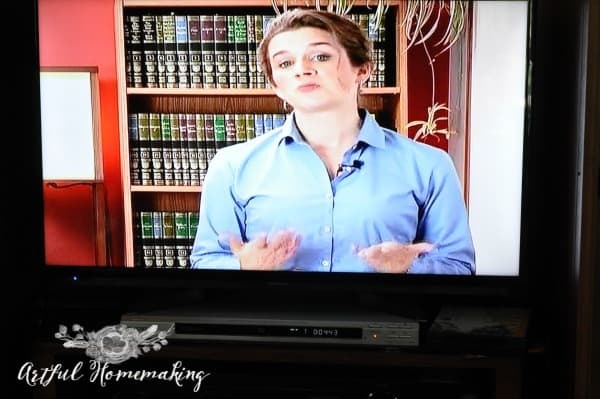 All they have to do is pop in the DVD, watch the lecture, and follow the instructions. Latin Alive! Book 1 contains thirty-six weekly chapters, including seven review chapters. As the first text in a three year series, it is a rigorous and thorough introduction to Latin for middle and high school students. I really like Karen Moore’s teaching style. I enjoyed watching the lecture for Chapter 1 with my girls. Karen has a sweet demeanor, and she really knows her Latin. She goes through the whole lesson with the student, and she also has a whiteboard that she uses to illustrate and explain some of the concepts. 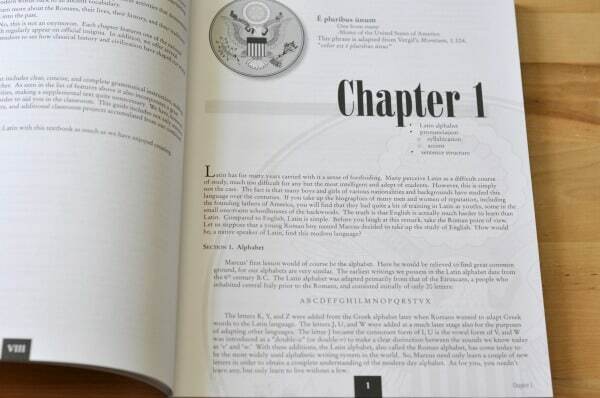 Each chapter begins with the Latin motto of a United States state seal and includes extensive study of Latin derivatives. We’re very happy with Latin Alive! My kids like that the lessons are on DVD, and I’m thrilled to have found a program they can do independently! Stay tuned for my review of Song School Latin (also from Classical Academic Press), which I’m using with my younger children! 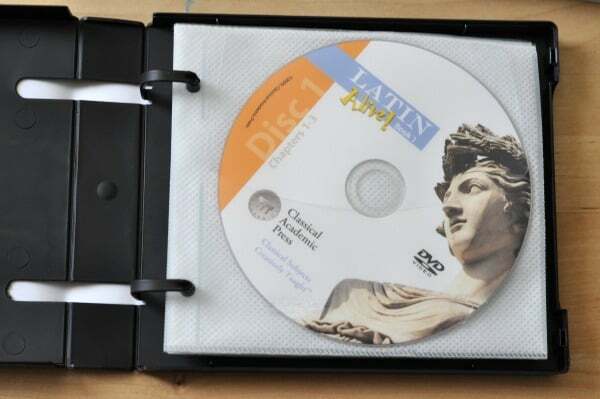 Disclosure: I received the Latin Alive! Book 1 program for free in exchange for an honest review. The opinions expressed here are my own and were not influenced in any way. This post contains affiliate links. Read my full disclosure here. Sharing here. Very good !! We always study Latin at school and it’s an excellent training for the mind , I think . I agree, Franca! It is excellent training for the mind. I’m not sure why we didn’t start studying it sooner! How do the lessons work? Is it one video per lesson and one lesson per week? Or are there multiple videos per week? Do they have to listen to a chant CD or something for the pronunciation? Yes, each lesson has a video to watch that’s about 30 minutes long. 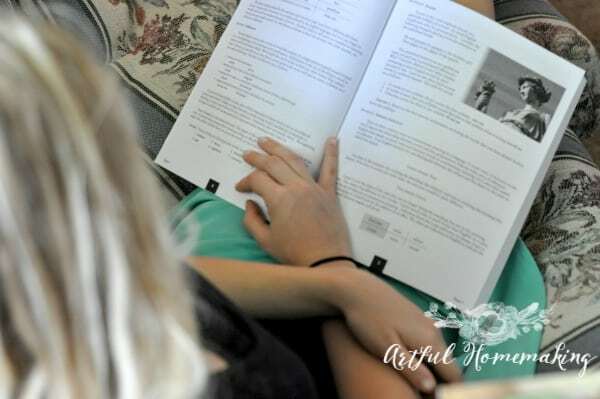 There are 36 weekly chapters, so you can do one lesson per week. 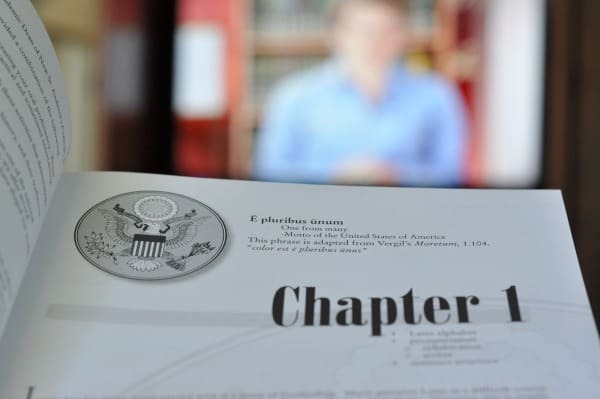 There are 29 new content chapters and 7 reading-review chapters. Karen Moore, who does the video lectures, pronounces the words for the students so they can hear how each one is supposed to be pronounced. 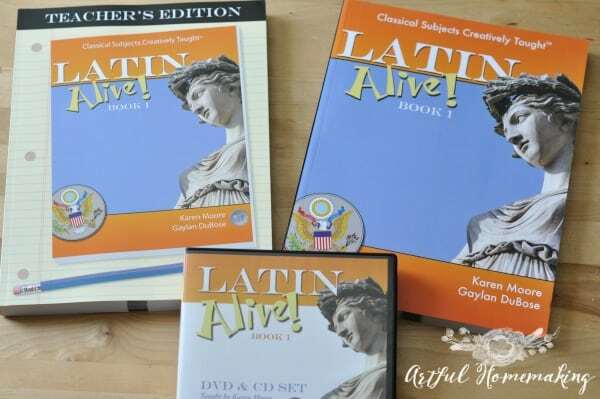 The DVD set also features an audio CD of the Unit Review Latin Readings, so that students can practice proper pronunciation and accent. Hope that helps! 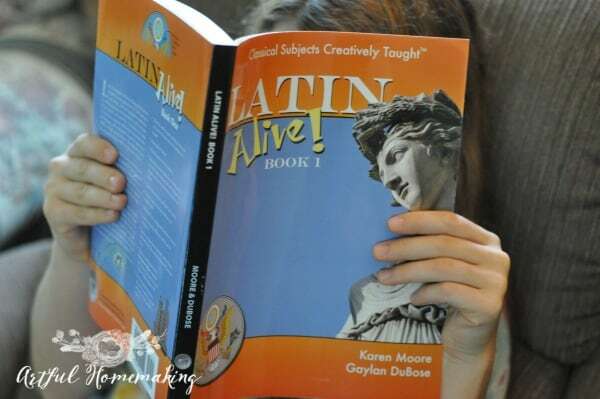 My 7th grade son started Latin Alive! about a mount ago. He really enjoys Latin. I have done 4 different Latin programs with him and finally found a perfect fit. Latin Alive! seems to be the perfect for him. That’s wonderful to hear, Tina! I’m so glad Latin Alive! has been a hit with your son! This is our first exposure to Latin, so I was really thankful to have something so easy to use. Thanks so much for sharing your experience with Latin Alive!